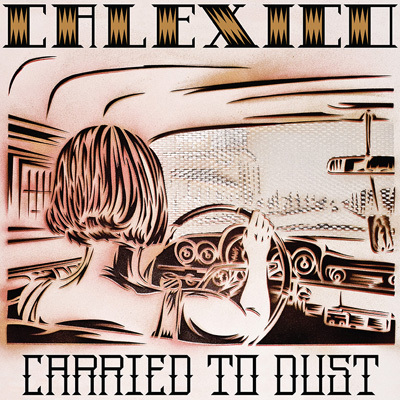 For over 12 years, Calexico have been traveling a dusty border of music, one foot landing on rock and the other on any number of styles — mariachi, waltz, tarantella, alt-country, and any number of other styles Joey Burns and John Convertino wanted to dip their toes into. Now having even made their way into outer space. Their most recent effort, Carried To Dust, finds them globe-trotting from their backyard, exploring Russia, Chile, New Orleans and elsewhere with a pack of international guest stars (including Chicago's own Doug McCombs). On September 25th, they'll be playing at Millennium Park. We caught guitarist Joey Burns in the studio in Tucson and talked with him about the new album, politics, cell phone trees and traveling soul bands. 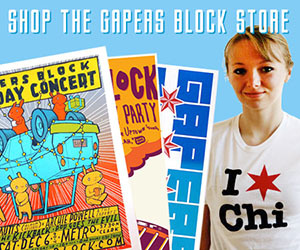 Gapers Block: What's up at the studio? Joey Burns: I'm At Waveland Studios, doing some work on a score for a film called "Mustang Ranch". It stars Joe Pesci and Helen Mirren as the owners of the first legal brothel, and about their own relationship. I'll be here for a few more days before we head off to Europe. GB: Are you excited for the trip? JB: Yeah — we'll be heading to the U.K., Norway, Spain, and elsewhere doing some promo work. Travel always inspires music, and general experience in my opinion. Just being down there, hearing first-hand accounts of families in exile, their perseverance, the remarkable monuments, stories of legend — those are invaluable. JB: Yeah, Victor Jara was definitely one we were inspired by — he was a playwright, a singer, a guitarist, and used all of those things to be a political activist. Project Mika is a little different in that I've never been to Russia — its just more imaginative, a good vehicle. People need that...whether you're a writer or a musician, you have to get out there. You have to see the world and know what you're trying to work with first. GB: Any favorite places you've visited in your travels? JB:: Honestly, Tuscon is a great place — it's remote, but not congested. It's close to the border, so you get this mix of cultures — it's very European in a way. GB: Any thoughts on the current election? JB: Well, Garden Ruin was definitely our political frustration record. It had a general theme of dislocation — a study of characters who were down and out. I guess all our records do that at some point or another. Some of this album focuses on the environmental concerns of man — is man inherently good? "Man Made Lake" particularly mentions cell-phone trees — have you heard of these? They take these big transmission towers for cell phone service and disguise them as palm trees. It makes you wonder why we have to do this. What are we trying to accomplish by covering these up? Is it a way to feel less guilty about progress? It's just kind of a fascinating behavior on our part. GB: The album also supposedly has the story of an L.A. writer traveling through it. JB: The L.A. writer subplot doesn't really run all the way through the album. "Sarabande in Pencil Form" and "Writer's Minor Holiday" have some elements of it but...It was more of a way to see who is paying attention in interviews. If there was a theme throughout, this album is more about internalized frustration. The ability to speak out — lyrics are abstract, and you can't control the interpretation. 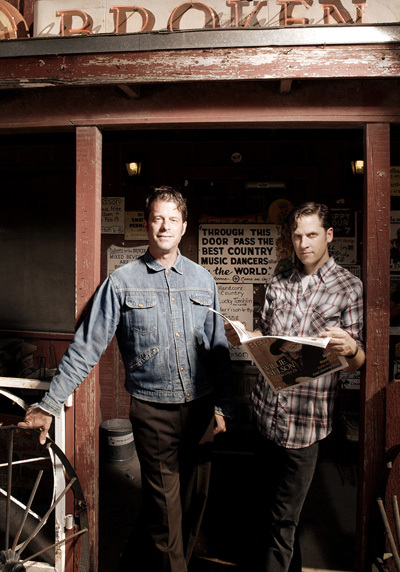 "Crooked Road and the Briar" is a song based loosely off of "Knoxville Girl" by the Louisville Brothers. It's basically a song about the demise of a girl, this very dark tale of murder and loss. And somehow, when we played it, this woman came up to me afterwards and told me it was an inspiring piece — that it gave her hope. I'm glad she found that in there somewhere, but it makes you wonder. GB: Aside from story and theme, this album also seems to be a return to your usual style of production. JB: Well, Garden Ruin definitely confused some. We put the vocals a lot higher up in the mix than we usually do, and refined the sound a lot. And with the way we added on musicians for that album, it was definitely a diverse palette. It's important to mix up how you do things, to see what you've made, and how things will change when you play them on stage. 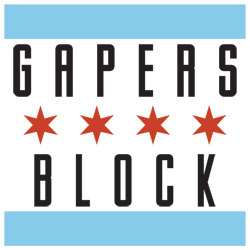 GB: Do you have anything planned for the show in Millennium Park? JB: I think we'll try to focus on the world music aspects in honor of the festival. We'll save the more rock-oriented stuff for our next venue appearance. We'll have Salvador Duran with us, who was with us for the "In The Reins" tour with Iron and Wine. He's a big inspiration. He's very innocent, open...but then up on stage you get this stomping, thrashing energy, and it's just a joy. We'll also have the Mariachi Luz de Luna, who have played with us a few times and are fantastic as well. And then Doug McCombs, Pieta Brown, Hiero Zavala — they'll all be there for their parts. We've never played Millennium Park before — we're looking forward to the "Hairnet". GB: And we're looking forward to seeing you play with this expanded group. JB: I wish we could do it all the time, but expenses make things difficult. Gas prices alone have pretty much shut down a lot of smaller tours, and I wonder what will happen as that problem progresses. Maybe in the future, it'll just be an artist going solo on tour, and picking up backing bands from locale to locale — like they did with soul singers and bands back in the day. GB: So Joey Burns and the Maxwell Street Band next time, then? JB: (Laughs) Maybe. It could force people to be creative, which is never a bad thing. 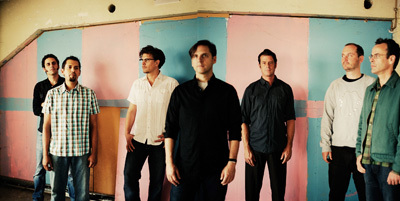 Calexico plays tonight at the Pritzker Pavilion at Millennium Park as a part of the Chicago World Music Festival. Zazhil opens with traditional Mexican music at 6pm. The concert is free and runs until 8pm. Dan Morgridge is a cell phone tower disguised as a music writer from Ukrainian Village.